Back by popular demand! 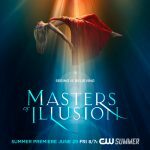 — Chipper returns as part of the Gala Headliner Show for this wonderful and uniquely intimate magic convention! 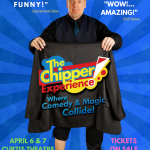 Held at a world class resort in The Cape, Chipper will not only appear in the stage show, but also offer up a unique lecture/workshop, helping other artists to ‘find the funny’ in their own routines and shows!